About 400km from Cape Town, in the north-western part of our country and at the foot of the Hantam Mountains, lays Calvinia. 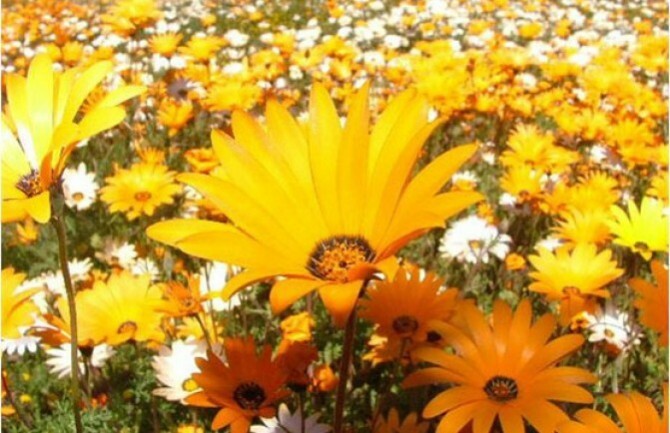 Hantam, being a Khoi word meaning “where the red bulbs grow“, owing to the fact that this region is totally transformed into a luscious flower carpet, in the spring time. This town was founded in 1851 on the Oorlogskloof River and named after religious reformer John Calvin. 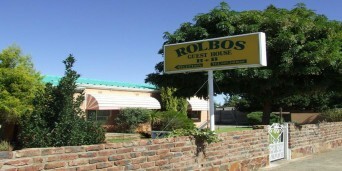 Calvinia is a town which boasts with many key attractions, like the 80% starlight and the unique view of the night sky. It is also the region’s key growth point and one of the country’s largest wool-producing areas. This town isn’t renowned just for their sheep and starry night skies. It has plenty to offer to the avid traveller. The museum, built in 1920, with exhibits portraying the lives of the early European settlers. Then there’s the Hantam House which was built in the Cape Dutch style with its concave-convex gable. Also on offer are the various 4 x 4 routes along the escarpment with picturesque views and bushman paintings along the riverbed. This is also the place where you’ll be rewarded with the sight of the huge Namaqua fig trees clinging to the rock surfaces. If you are more of a hiking fanatic, you can visit the Akkerdam Nature reserve which offers two trails across the Hantam Mountain. Here you’ll be able to take in the glorious scenery, study the sterboom and for the bird watching fanatic, there are about 65 species of birds to find. 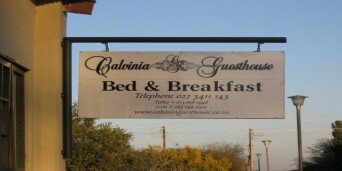 What Calvinia is specially known for, is the Hantam vleisfees. This festival happens during the last weekend of August. This year will be the 22nd consecutive year that the town hosts the festival. Calvinia is sheep country, and this festival celebrates meat. There’s meat braaied, stewed, curried, in pita, on sosaties, in potjies – and for the more adventuress, a sheep’s head! First held in 1989, the three-day Hantam Vleisfees has a music concert, street party, vintage car rally and, a highlight for many, the Miss Vleisfees competition – a glittering affair with dinner and dancing. The main aim of this festival is to promote their delicious sheep meat. Back in the years it was decided that different cuts of meat, in bite sized portions, would be on offer. Different farmers’ associations from this region, under the watchful eye of the Calvinia Agricultural Union, would be responsible for the meat. The festival is still modelled on this winning recipe. When joining the fun of the Hantam Festival, you will not only have the opportunity to devour meat; you will be welcomed with the warm, down to earth residents of this beautiful region. So, if you’re a party animal who enjoys indulging in a good few lamb chops washed down with beer or brandewyn and coke, then get to this celebration of cavorting carnivores! 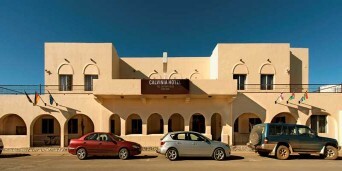 Calvinia lies at the foot of the Hantam Mountains and is locally known for its annual meat festival, the ever-popular "Calvinia Vleis Fees". In addition to delicious portions of lamb and mutton, the town offers tourists all the appeals of a bygone era combined with modern conveniences. 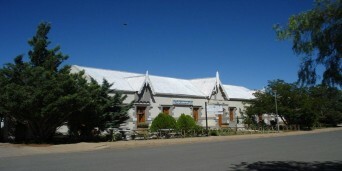 An establishment where tourists might simultaneously get a taste of Calvinia's past, present and cuisine is the Hantam Huis. Built in 1854 and recently restored, this beautiful old Cape Dutch building doubles as a museum and restaurant, serving only the choicest of traditional Hantam dishes to hungry tourists. Those eager for a 'taste' of the Hantam itself can visit the Akkerendam Nature Reserve, situated north of town. Alternatively there is also the Calvinia Museum with its many cultural-historical displays aimed specifically at teaching tourists more about "Life in the Hantam".